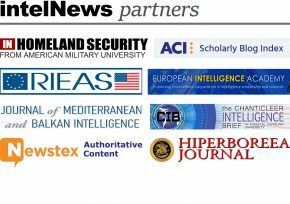 Since 2008, when we launched this website, we have monitored daily developments in the highly secretive world of intelligence and espionage, striving to provide an expert viewpoint removed from sensationalism and conspiratorial undertones. As 2014 is about to conclude, we take a look back at what we think are the ten most important intelligence-related developments of the past 12 months. Those of you who are regular readers of this blog will surely agree that we witnessed our fair share of significant intelligence-related stories this year. Some of them made mainstream headlines, while others failed inexplicably to attract the attention of the news media. In anticipation of what 2015 may bring, we present you with our selection of stories below, which are listed in reverse order of importance. The stories are presented in two parts; part two will be published tomorrow. This is part one in the series. Part two is here. 10. South Korean ex-spy chief jailed for bribery and political interference. Much of the world’s media has focused on the seemingly endless stream of lunatic antics by the corrupt government of North Korea. But corruption is also prevalent south of the 38th parallel. The year 2014 saw the disgraceful imprisonment of Won Sei-hoon, who headed South Korea’s National Intelligence Service (NIS) from 2008 to 2013. Last September, a court in Seoul heard that Won ordered a group of NIS officers to “flood the Internet” with messages accusing South Korean liberal election candidates of being “North Korean sympathizers”. Prosecutors alleged that Won initiated the Internet-based psychological operation because he was convinced that “leftist adherents of North Korea” were on their way to “regaining power” in the South. A few months earlier, Won had been sentenced to prison for accepting bribes in return for helping a private company acquire government contracts. 9. Australia spied on US law firm representing Indonesia in trade talks. Spying for direct commercial gain is viewed as a taboo by Western intelligence agencies, who claim to focus their efforts solely on matters directly relating to national security. But according to documents leaked in February, the Australian Signals Directorate (ASD) targeted Mayer Brown, one of the world’s largest law firms, because it represented the commercial interests of the Indonesian state in commercial negotiations with Canberra. To make things worse, the documents also show that that the Australian agency offered to share the intelligence collected from the operation with its American counterpart, the National Security Agency (NSA). After Indonesia withdrew its ambassador from Australia, the two countries signed a joint agreement aimed at curbing their intelligence activities against each other. 8. Hezbollah leader’s senior bodyguard was a Mossad agent. It turns out that the man who directed the personal security detail of the secretary-general of Lebanese militant group Hezbollah was an agent of Israeli intelligence. According to multiple sources in Lebanon and Israel, Mohammed Shawraba, 42, who was arrested earlier this year by Hezbollah’s counter-intelligence force, and is now undergoing trial, was able to penetrate the highest levels of the Shiite militant group and leaked sensitive information to Israel for several years prior to his capture. In 2008, Shawraba was promoted to director of the group’s Unit for Foreign Operations, also known as Unit 910, which collects information on Israeli activities abroad. 7. Public fight breaks out between Congress and the CIA. The intensity of the media’s focus on the recently published summary of the Congressional report on CIA interrogation practices is understandable. Having said that, we have known about the CIA’s use of waterboarding for years, and the CIA’s use of ‘enhanced interrogation’ goes back to the 1960s, so nobody can claim to have been shocked. What is perhaps more revelatory is the incredibly public spat between the Agency and the Senate Select Committee on Intelligence. The CIA’s own inspector general found that Agency officers spied on Congressional staff investigating the CIA’s use of torture in interrogations. CIA Director John Brennan apologized for the incident, but many are wondering how this will affect intelligence oversight in years to come. 6. Turkey in turmoil as dozens arrested for spying on PM, spy chief. Turkey’s political system appeared to be sinking deeper into crisis this year, as over 100 police officers, some of them senior, were arrested for illegally wiretapping the telephones of high-level government figures, including the Prime Minster and the intelligence chief. They included two former heads of Istanbul police’s counterterrorism unit. Another 13 were later indicted for systematic “political and military spying” against senior government figures. However, critics of Prime Minister Recep Tayyip Erdoğan’s government noted that one of the police officers arrested is the former deputy chief of the Istanbul police department’s financial crimes unit, which earlier this year led an investigation into alleged corrupt practices by senior members of the Erdoğan cabinet.